Lenders on rebuildingsociety.com have been asking for improved reporting since the completion of our first few deals and we’ve worked hard to get this in place. Lenders can now view their entire transaction history, much like a bank statement, by selecting ‘Statement’ from the drop-down menu on ‘Dashboard’ (see screen grab below). Filters are in place so lenders can see activity by the month or sort the full range of transactions including ‘Funds added’, ‘Micro Loan sale’ and importantly ‘Interest payment’, which lenders can use to calculate their tax obligations. It’s important to note that the statement will not include fees deducted on the sale of Micro Loans (0.25% of the value of the Micro Loan) as this is deducted when the transaction takes place. 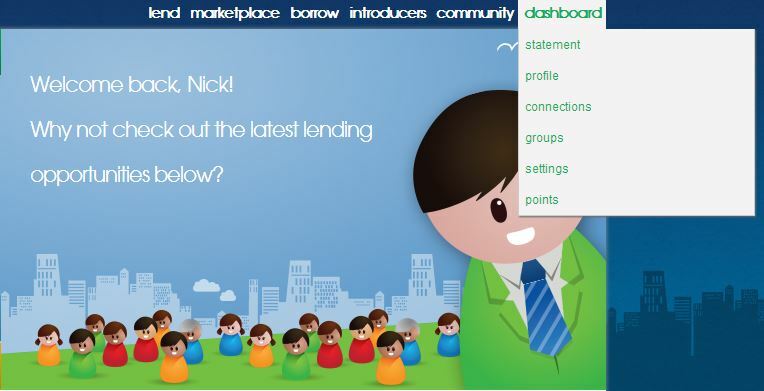 Many of these changes have come through feedback from lenders, which is invaluable for us. If you have a suggestion on how to improve the site, please get in touch.